Green tea is a healthy and delicious beverage that is wonderful hot or iced, but many tea lovers know very little about the available varieties. Although most of the packages sold in supermarkets are simply labeled as green tea, there are actually several different types. Most of the bagged green teas sold in grocery stores consist of this tea. Gunpowder tea originates from the Zhejiang Province in China. Its name comes from its resemblance to gunpowder; during processing, the leaves are rolled into small, irregular pellets. This tea has a bold, slightly smoky taste. Gunpowder tea is inexpensive and has a long shelf life, but it lacks the character of finer teas. Dragonwell tea, also called Lung Ching tea, is a brightly colored fine tea and a favorite of connoisseurs. It is more expensive than most other varieties, and only limited amounts are produced. 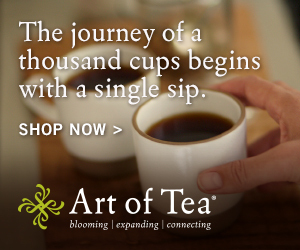 Because the demand for this tea is great, some companies attempt to imitate it. To ensure that you are buying real Dragonwell tea, you must be sure that it comes from a reputable source. Sencha tea comes from Japan. This tea is processed without grinding the leaves. Sencha is an everyday tea that tastes slightly sweeter than other green teas. It is less expensive than Dragonwell tea and readily available in America. A cheaper version of Sencha is called Bancha. Macha or Matcha green tea is used in Japanese tea ceremonies. Macha is a high-quality tea product in the form of a finely milled powder. It is an expensive and luxurious choice with a sweetness that rivals the finest dessert teas. It is sometimes used to flavor or color foods such as green tea ice cream and soba noodles. Adhering to the traditional Japanese methods of growing and cultivation, this superior grade green tea is prized and highly sought after. Select green tea leaves are shade grown for two weeks then promptly deep steamed after harvesting, maintaining elevated levels of chlorophyll and resulting in a bright green vegetal cup. Once they experience the finer green teas, most tea lovers avoid the low-quality green tea bags that are commonly sold in grocery stores. To fully enjoy all that green tea has to offer, you may have to look beyond your local supermarkets. For the best selection, buy your fine green teas from Chinese food markets, or order it online.